Test Script displays - No drive(s) detected. How to fix this? 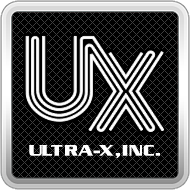 – Ultra-X, Inc. I get a message - no drive(s) detected but i have a hdd connected. How to fix this? 1. First change the BIOS setup configuration to adjust SATA controller configuration. Try to set the configuration to IDE or AHCI mode. Some Ultrabooks will be set as default to RAID. Changing the SATA controller to IDE or AHCI will allow QuickTech Premium to natively comunicate with the drive. 2. If you choose not to modify the BIOS, you can alternatively try to add the QCONFIG.TXT file to the QuickTech Premium USB. When QuickTech Premium boots, it will try to locate the QCONFIG.TXT file and adjust the native detection settings based on the configuration found. There are a total of four configuration settings for QCONFIG.TXT - each being able to directly turn AHCI or DirectIO on or off.